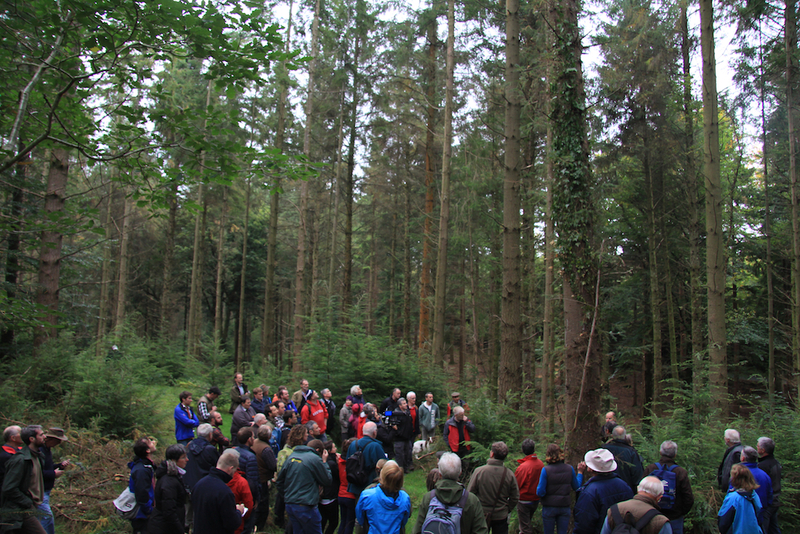 Photos and an article from ProSilva Ireland field day at Knockrath Forest, Co. Wicklow – Sat 3 Oct 2015. ProSilva Ireland wishes to thanks the Brabazon family at Knockrath Co. Wicklow for an important ProSilva Ireland field day. We were fortunate to have Duncan Stewart and the EcoEye team record some of the day’s discussions for an upcoming EcoEye TV programme and Donal Magner, Forestry Editor for the Irish Farmers Journal wrote the following article (click the image to download the article as a pdf). 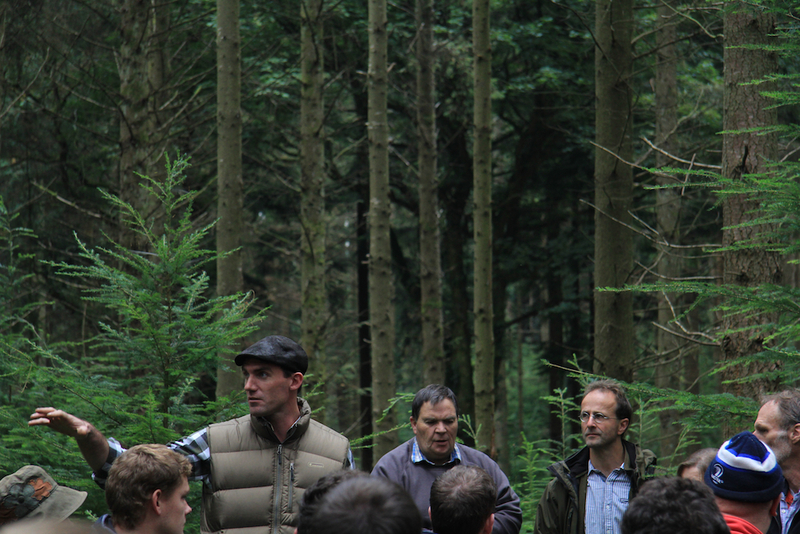 Our guest forester Heinrich Joost Bärwald from ProSilva Germany also added valuable European Close-to-Nature forestry insight to advance the discussions during the day. Thanks to all those that attended. Comments welcome below and please feel free to share the article. 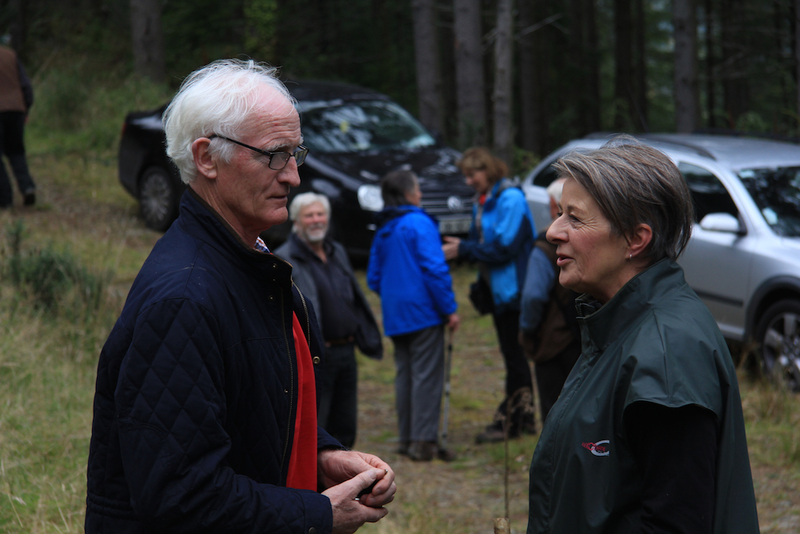 Outgoing ProSilva Ireland Chair Padriag O’Tuama with guest ProSilva Germany forester Heinrich Joost Bärwald who helped lead some of the discussions during the day, giving a European perspective. We were very fortunate to have Donal Magner, Chief Forestry editor for the Irish Farmers Journal write up the day for a recent article in the Journal. The article ‘Operation Transformation’ is available above. 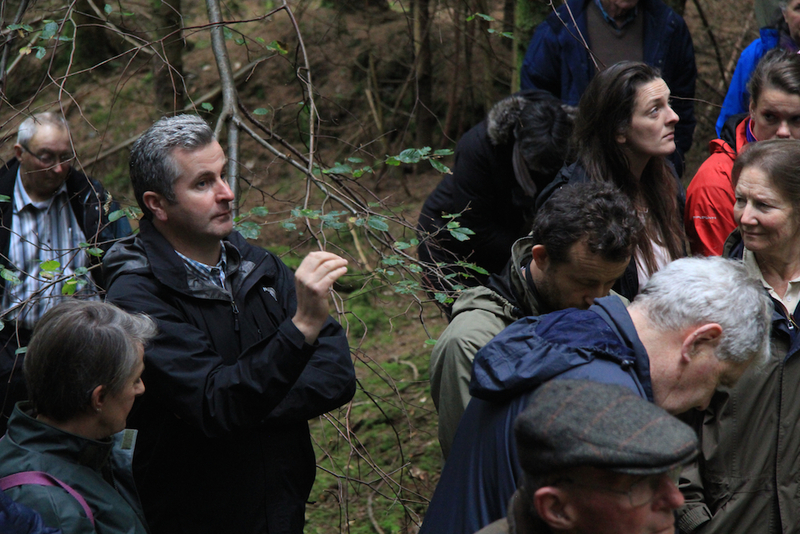 ProSilva committee member Liam Byrne (of Byrne and Sons), an expert of harvesting for Close-to-Nature continuous cover forestry describes some of the thinning decisions previously undertaken at Knockrath. 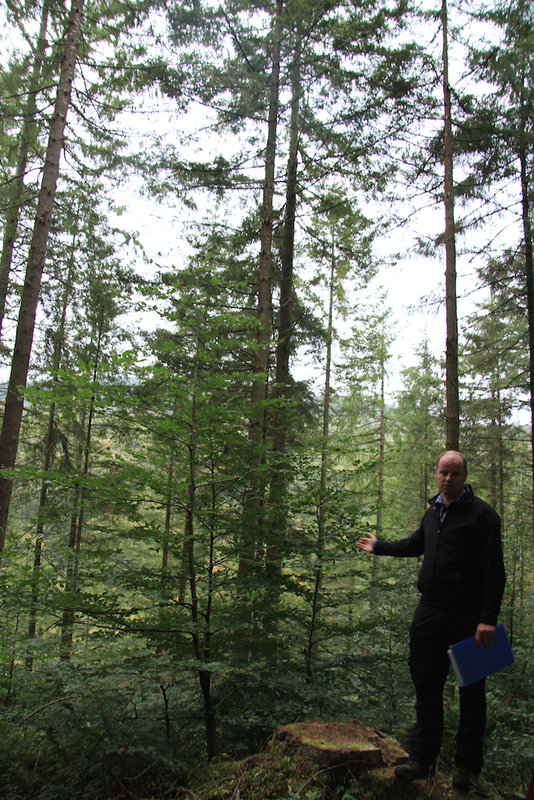 A different type of permanent, non clearfell forestry for Ireland that welcomes natural regeneration. 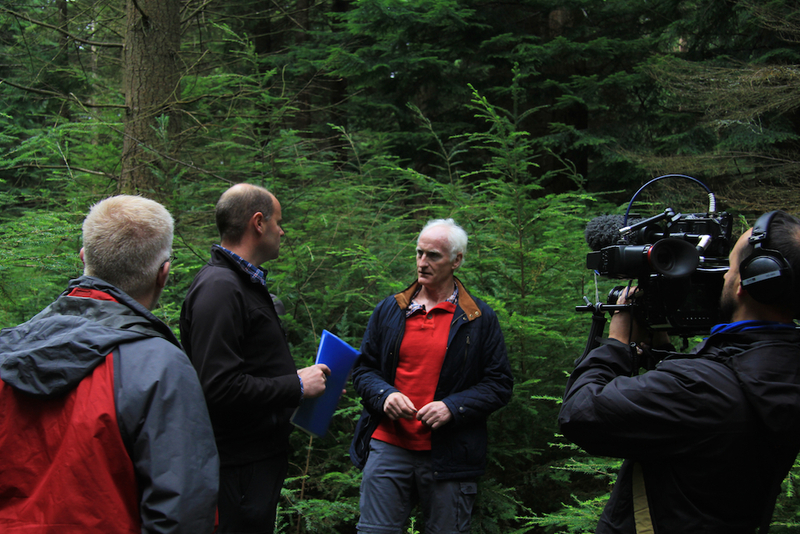 We were delighted to Duncan Stewart and the Eco-Eye team with us; Ecoeye will be producing a TV segment for nationwide broadcasting that will add to the growing national conversation about Close-to-Nature continuous cover forestry. ProSilva Ireland events are growing! 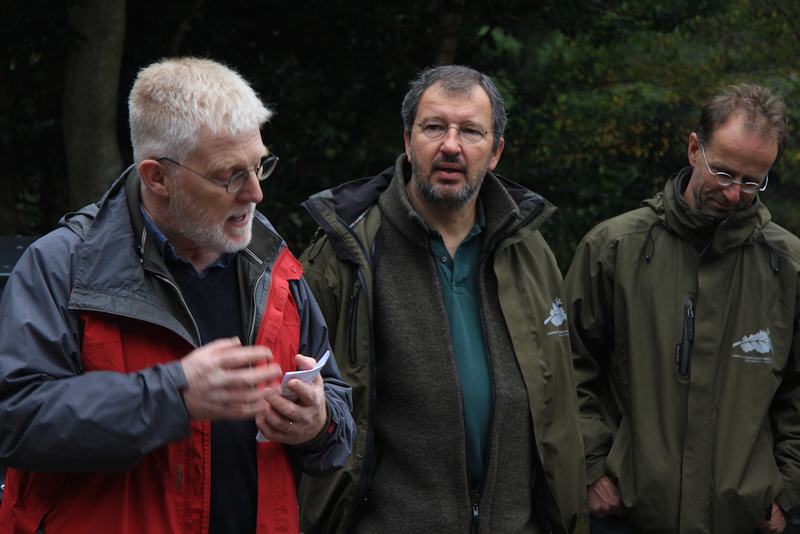 An important discussion for forests in Ireland regards the management of deer; here George Treacy describes how continuous cover forests that foster natural regeneration attract deer grazing problems. 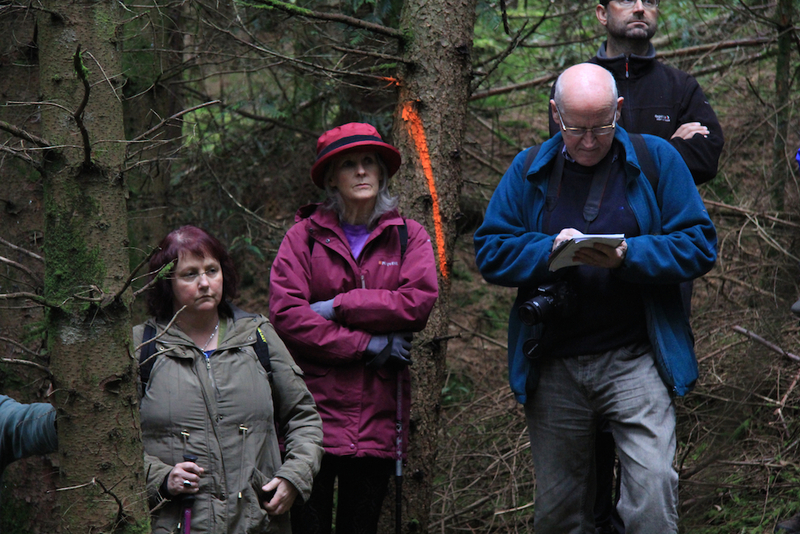 Knockrath foresters work closely with the local deer association. Thanks to TipiAdventures.com for our lunch (hot stew) in the woods! 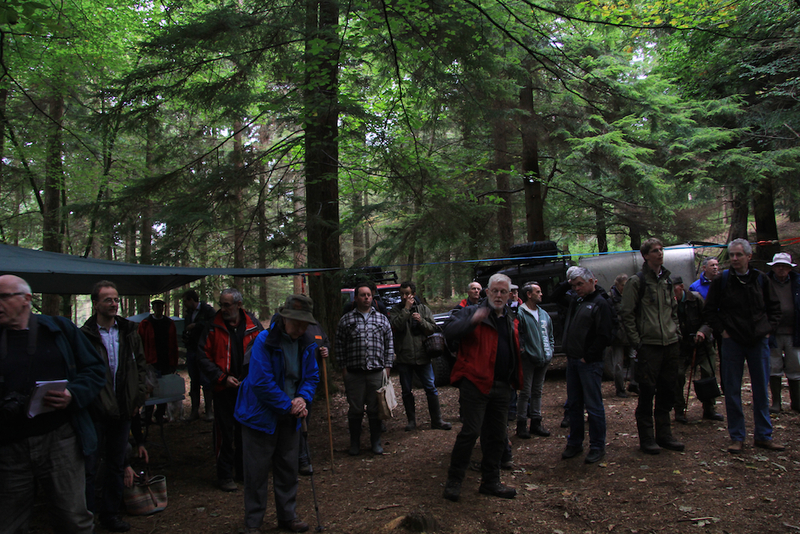 New chair of ProSilva Ireland Paddy Purser discusses the benefits of Close-to-Nature continuous cover forestry near sensitive river areas. Duncan Stewart enjoying catching up with Jan Alexander, former Chair of ProSilva Ireland and founder of Crann. We are delighted that Jan has returned to the committee of ProSilva Ireland for 2016. 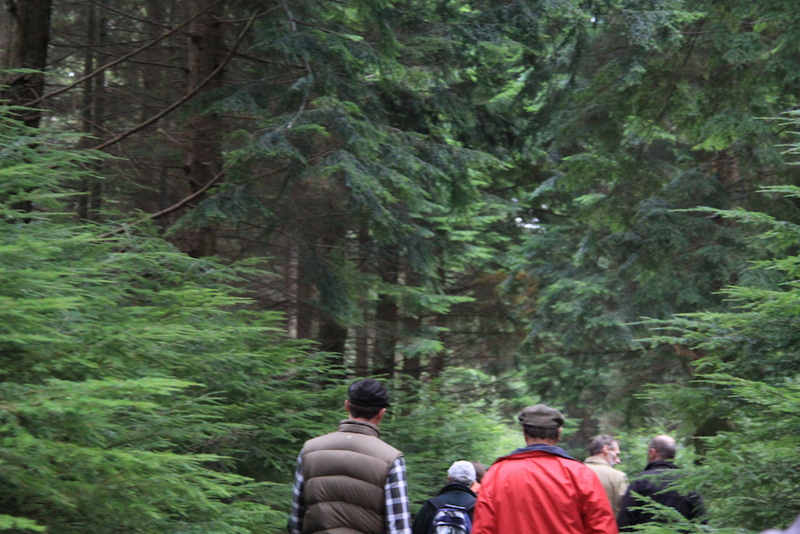 Great to see ProSilva Ireland’s* message about Close-to-Nature, non clearfell, continuous cover forestry is getting great press and TV coverage. This is what should have been included in this years new national forestry policy but we’ll just have to keep working at it. Anyway, we all had a great day in Co. Wicklow.